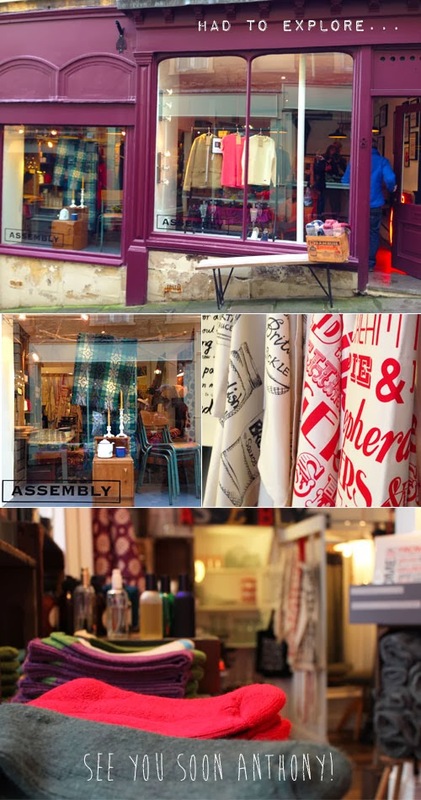 On Saturday we took a long awaited trip to the Somerset market town of Frome, or more precisely, to its exciting Artisan quarter St Catherine's. Set on a charming cobbled street, there is an exciting new find to be had behind every beautifully painted shop door and best of all, each one is an independent retailer. I am not about to be become a hypocrite and pretend I don't love some of my trusted high street home ware brands but there is something really special about shopping in these unique stores; the experience becomes very intimate as many of the business owners also work on their own shop floors and the friendly smiles make a huge difference. However, one store in particular really appealed and caught my immediate attention. 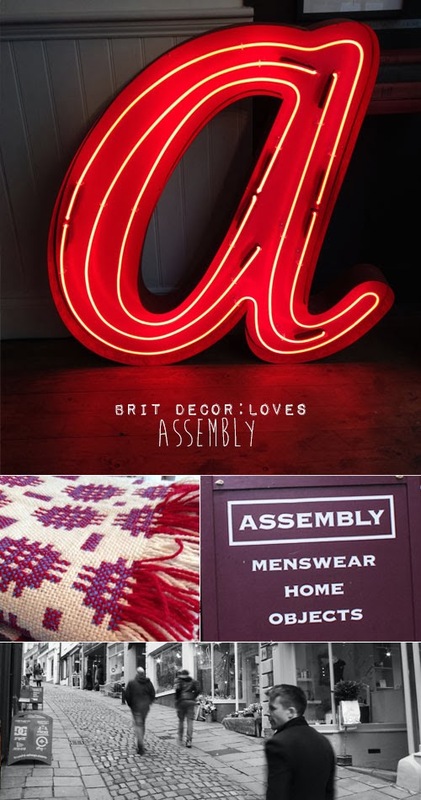 Assembly is the brainchild of the very talented Anthony Hick, who has drawn upon his background in the fashion industry to develop a unique menswear-meets-homeware brand. Products include British ethically sourced menswear and a must-have home and object collection. Anthony's exquisite creative flair seems embedded in the shop and shines brightly like the eye-catching electric 'a' light inside the doorway, which helped to draw me in from the street. Once inside, I immediately began browsing the clothes rails before feasting my eyes on the beautiful enamelware amongst many other on-trend finds. Maybe it's because I am a guy who is an avid fan of fashion and interiors but I have always been struck by the practically non-existent presence of this type of retailing concept for men, and I have long felt that every town and city is screaming out for this type of shopping experience. Therefore, Assembly really does strike a chord for me; Anthony, thank you and I will be back! Love tucked away cobbled streets. 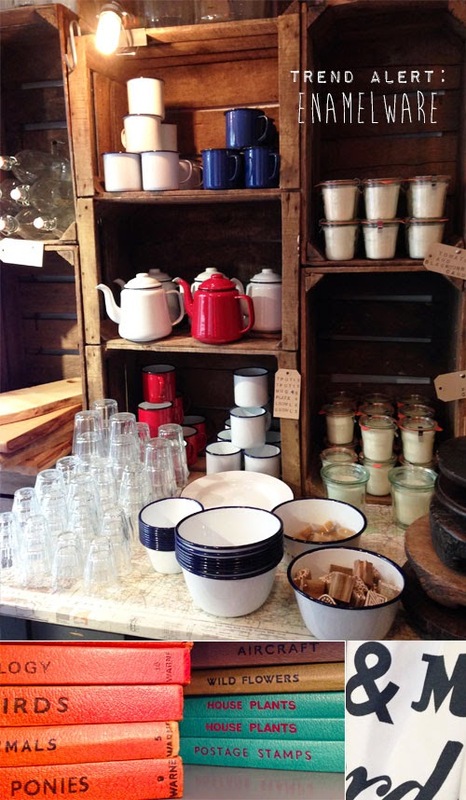 I'm a fan of enamel ware too. The breakfast place I visit on my way to work always serves up food on those Falcon enamel plates - something rather charming about that pared down simplicity.